Sofa Shopping Online - Laura Needs Your Help! decor8 reader, Laura W., is looking for a sofa and needs your help. She says, "I found one online that I love from Club Furniture, but I am not sure about their quality. Have you heard anything about them? 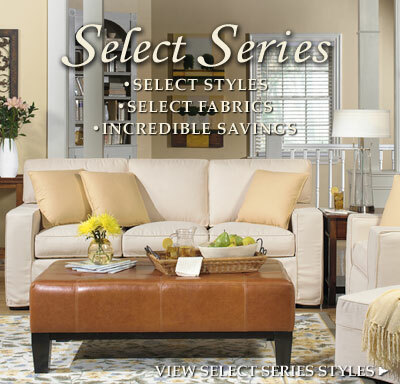 I'm feeling a little iffy about buying a sofa without trying it out first." I've not shopped them before, but it appears as though they offer a great warranty, which includes a 20 day no frills money back guarantee, even stating they'll pay the return freight on the item (not the original shipping fees, but everything else would be refunded). Not bad! In addition to the warranty, I'd call them directly and see what kind of customer service they provide. Ask lots of questions and get a feel for them over the phone. I'd also check out the Better Business Bureau online. I go there whenever I question a company that I'm about to deal with. It seems that Club Furniture is owned by One Source Plus, Inc., so do a search under that name and see where it gets you. If they've had an unusual amount of complaints, you'll learn about those there. decor8 readers, have any of you ever purchased a sofa online without experiencing it first hand? What are your thoughts on this? Has anyone shopped with Club Furniture before? Thanks Laura for writing in! *New* Chocolat Magazine from Canada!